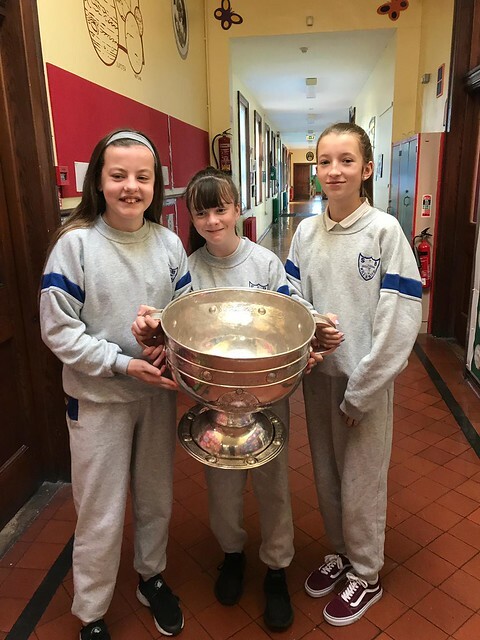 Sam Maguire Cup visits us! We had a special treat on Friday 26th January when the Sam Maguire Cup came to visit us in St.Brigid's! This is our fifth visit from Sam but the excitement among the pupils and staff had in no way diminished this time round. The girls got lots of pictures taken with the cup. Hopefully we'll see it again this year..Up the Dubs!